About 200 students in each district qualify as homeless under the McKinney-Vento Act, a federal law that guarantees an uninterrupted education to children who lack a permanent residence. “They might live in a hotel, or they’re living in abandoned buildings, or they’re doubled up, having to live with an aunt or an uncle because they’ve been evicted due to financial hardship,” said Leslie Washington, King’s counterpart in Hickman Mills. 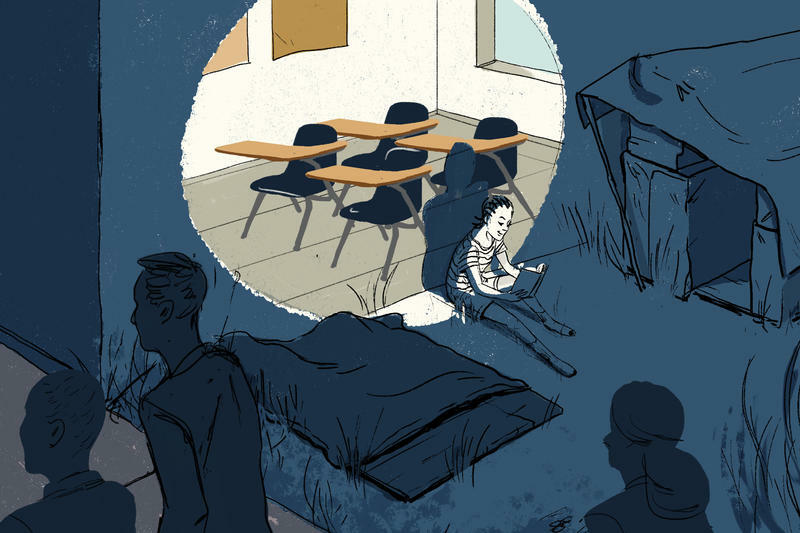 School districts have to pay to get homeless students to class, even if their family ends up in a shelter miles away. It’s a costly proposition, and schools don’t get much help footing the bill. So districts are starting to reach out to community organizations. Center and Hickman Mills are modeling their approach on “Impact Wednesdays,” an initiative in the Kansas City, Kansas, Public Schools to get all the social service organizations that help homeless families in Wyandotte County in one room. The idea is that families can apply in one afternoon for services that might take weeks or months for them to access on their own. Several South Kansas City churches, including Evangel, Colonial Presbyterian and Blue Hills have agreed to partner with the school districts for a soft launch this spring. The ultimate goal is “dignified, stable housing,” King said. That means the next step is getting more landlords to agree to rent to low-income families, said Stacey Johnson Cosby, president of the South Kansas City Alliance. For now, both Center and Hickman Mills will focus on supporting students already receiving services under McKinney-Vento. But next school year, King hopes the program can expand to families “one argument away” from homelessness. “Honestly, it is less expensive to support the family in a proactive way than it is to try to double back and try to support a family once they're already in crisis,” King said. The streets near downtown Kansas City are still dark and quiet on this Thursday morning, but already a green taxi is idling outside of the City Union Mission’s family shelter. Cameon Valentine and her son, Nicoli, hustle out of their room shortly after 6 a.m. They’re running a bit behind. “Come on, son!” Valentine says. When Caitlin Cheney was living at a campground in Washington state with her mother and younger sister, she would do her homework by the light of the portable toilets, sitting on the concrete. She maintained nearly straight A's even though she had to hitchhike to school, making it there an average of three days a week. "I really liked doing homework," says Cheney, 22, who is now an undergraduate zoology student at Washington State University. "It kept my mind off reality a little bit."